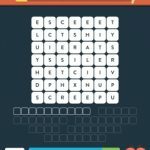 Stuck in Wordbrain 2 School (Word Super Mastermind 7×7). Here are the answers. Hi. I’m on school world mastermind level 2. I can’t finish level 2. Because the letters don’t work out the way cheats YouTube play out the answers. I love this word game. Help. Please it would be ashamed not to be able to finish all the games. I’m 82 percent , I want to get to the 100 pc. Yours Margaret..
@Margaret… We are updating the position of the answers for easy viewing, please give us a day’s time. It’s now 07/03 & it’s still not solvable?? Why?!!!! I’m stuck! I cannot spell out LEARNING without taking letters for the next word ASSIGNMENT. Please help! Start with the L that’s in the 3rd row above the G & the A. From there go to the E beside it. Then the A above the E then R to the right of the E then N above the A then the I between the two G’s then go from there. I hope this help. I solved it. My version puzzle one does not have college and math but instead ruler and lesson.